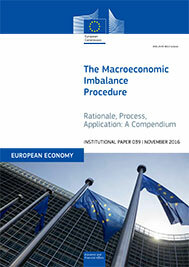 This Compendium takes stock of the implementation of the Macroeconomic Imbalance Procedure (MIP) five years since its introduction. Institutional Papers 39. November 2016. Brussels. PDF. 140pp. Tab. Graph. Ann. Free.